Not everyone needs nutritional supplements. Radical critics might even argue that no one should take supplements for any reason at all. But the fact is that there are certain groups like older adults who will benefit from the right kind of nutritional supplements. It is obvious that the best way to meet your nutritional requirements is through your diet. Not all diets are, however, well balanced and complete. In some cases, the imbalance is minor or temporary. Over the long run, these individuals receive a completely balanced nutrition. In other cases, however, the deficiency is either extreme or long standing. This can lead to several nutritional disorders and health problems. In these situations, nutritional supplement brands can play an important role. Before rushing out to grab yourself a nutritional supplement, it is important to understand something about their nature. Supplements are not meant to replace food. Whatever claims and promises a manufacturer might make, there is no supplement that can totally replace the calorie and nutrient value of whole food. 1. 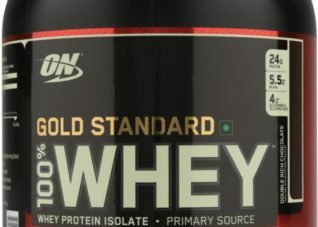 Better, more comprehensive nutrition. Whole foods provide your body with essential minerals, vitamins, and micro-nutrients in addition to calories in the form of protein, carbohydrate and fat. 2. Fiber rich. Grains and legumes are rich in fiber content. High fiber food helps prevent diseases like diabetes and heart disease, improves bowel movements and regulates absorption of nutrients from the gut. 3. Contain Antioxidants and Phytochemicals. These protective substances in whole food can safeguard your body from deadly diseases like cancer and high blood pressure. Antioxidants enhance longevity and slow down aging. 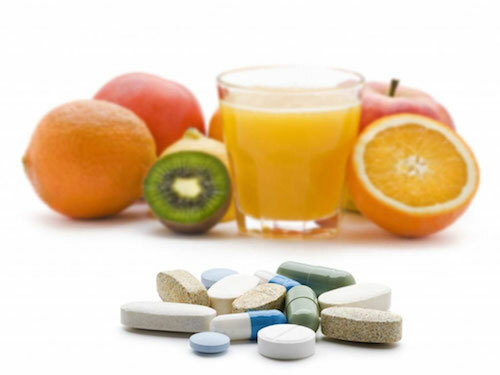 Who Will Benefit From Nutritional Supplements? Normal individuals who are otherwise healthy and active do not need nutritional or bodybuilding supplements. If you regularly eat a range of foodstuffs and have no dietary fads or fancies that prohibit eating certain specific types of food, you will be receiving a balanced nutrition by way of your diet alone. Fruits and vegetables, grains and legumes, dairy products and meat, fish and eggs eaten in normal combinations will meet most of your normal requirements for energy and nutrients. Nutritional supplements become necessary only under circumstances where this normal intake is limited, or where the body’s demands increase beyond a point where they can be regularly met by a typical diet. 1. Pregnant women will require 400 micrograms of folic acid every day to prevent a range of developmental defects of the baby’s nervous system. This is hard to meet by a normal diet. Fortified foods rich in folate or a supplement pill is a convenient alternative. 2. Iron requirements are also higher than normal in pregnant women. Considering how many suffer morning sickness and nausea that prevents even eating a normal diet, the extra demands of the growing fetus are not likely to be met without a supplement. 3. Elderly people who eat sparingly are prone to have a deficiency of vitamin B12 in their food. Adding a fortified cereal, or taking a vitamin pill every day that contains B-12 and folate can help compensate for this shortfall and maintain good health. Before you select from a list of nutritional supplements, it is important to discuss it with your medical advisor or dietitian/nutritionist. Find out what constituents in the supplement formulation are important for your own health. Ask about side effects or reactions, and check to see if there are any reported adverse interactions with other drugs or supplements you are already taking. 1. Read the Label. Be obsessive about this. Know the active ingredients of your supplement of choice. Study serving size information and see how much you’ll need to meet your daily requirements. 2. Do not overdose. If supplements are good, a high dose of supplement is NOT very good! That’s why mega-dose supplements that promise a 3x or 5x daily requirement of micronutrients has no additional value – though it costs more. 3. Potency drops with age. Make sure the formulation you purchase is well within its expiration date. Under extreme weather conditions, nutritional supplements will lose their potency faster. 4. Monitor your intake. With many common items like salt, cereal and sugar being fortified or enriched with vitamins, minerals and other nutrients, you may be getting more of it than necessary. In most cases, this isn’t harmful, but is still wasteful. In a few instances, there may be adverse side effects to taking too much of a nutrient or vitamin. 5. Stay up to date. Watch out for any alerts or warnings from the food and drug authority in your country. Regulations force manufacturers to report any side effects or reactions to the proper authorities. Keeping abreast of supplement news can help you quickly take action on such developments.